Spring is in the air and Easter is just around the corner. We finally have an excuse to eat as many chocolate eggs as possible, and then of course you have to look good! This year we also have a Rainproof Easter! 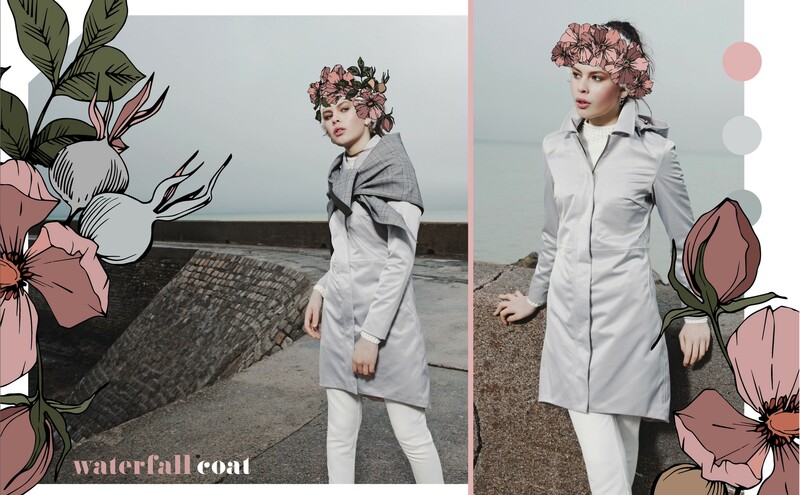 This spring, Rain Couture offers a large collection of stylish and functional rainwear items. 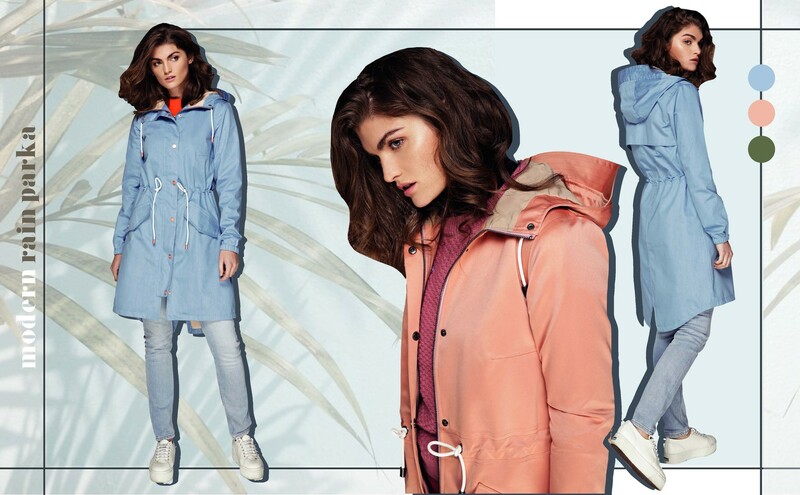 We have listed our Rain Couture top 3 picks below for you, so that you can find the perfect raincoat for your total Easter look! Our waterproof Rain parka available in green, light blue and pink is the perfect raincoat to enjoy your Easter weekend. Not only you look very cheerful and fashionable, but this extremely stylish and sporty raincoat is full of functional features! The pink and light blue pastel versions of this women’s raincoat perfectly match this cheerful occasion and the beautiful spring weather! The trendy raincoat is made of a comfortable, lightweight and breathable fabric with a subtle sheen. The waterproof parka has 2 deep pockets with flap closure and keycord, so you won't lose your keys (or Easter eggs). The parka has an elastic cord at the waist, which offers the possibility to wear the coat in a tailored way or on the contrary, slightly looser for a casual look. The raincoat has a functional double-sided zipper on the front and a press button closure for maximum comfort. All the reasons to look perfect for this holiday! An Easter brunch is not complete without a matching outfit. Our waterproof bomber jacket (also our only short model) is the perfect jacket to complete your outfit with. The fun and striking print with birds on the raincoat fits nicely with the current spring season. The waterproof raincoat has special ventilation openings under the armpits, which gives the jacket extra breathability. If it's still a little chilly, this bomber jacket will definitely keep you warm. 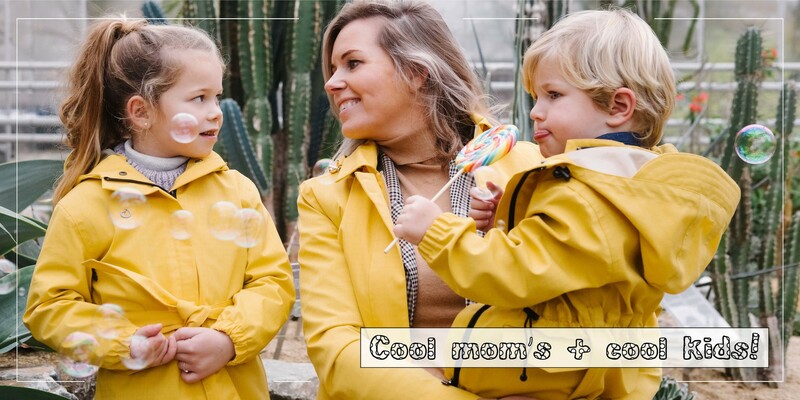 The lining of this extremely stylish raincoat is made from the same extra warm quilted fabric as the bodywarmers, to keep you warm during the Easter egg quest. The multifunctional bomber jacket has a detachable hood with cap that is also adjustable at 3 points. This way you are not only always prepared for the unexpected but you are completely ready for the Easter party! 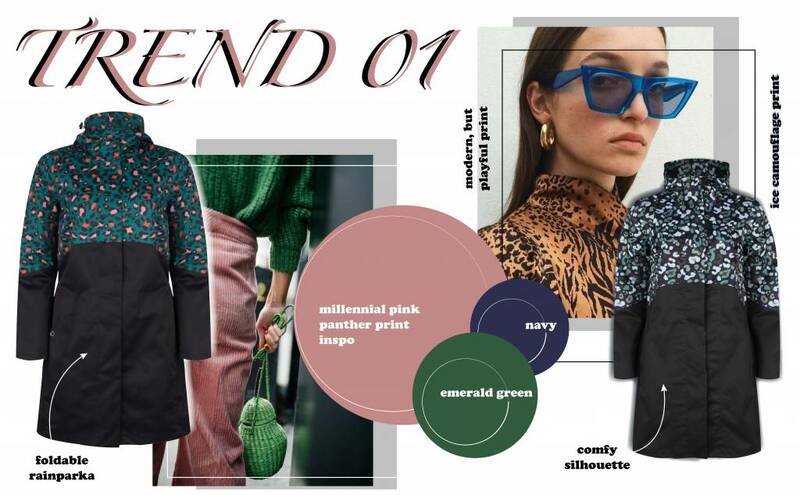 What could be nicer than enjoying the long weekend in style with our waterproof foldable rain parka available in 2 unique colors; The ice Camouflage print and the Millennial Pink Panther print. Made from a straight model with unique and striking prints that fit flawlessly with the current trend. The sporty and funky raincoat is made of a lightweight and breathable fabric. This foldable rain parka has a handy matching pouch so that you can easily fold & store the coat when it gets a little warmer. This waterproof model has a keycord holder, so you don't lose your keys. The multifunctional coat also has a headphone connection eyelet at the inside pocket with a flap-button closure to keep all bankcards and ID’s safe during your active day. Of course we hope for nice spring weather, even though the sun may not shine, during those days we mainly enjoy being together and the long weekend that we have. Do pastel colors also bring you directly into the Easter mood? Then our waterproof Waterfall coat in silver is definitely a great choice! 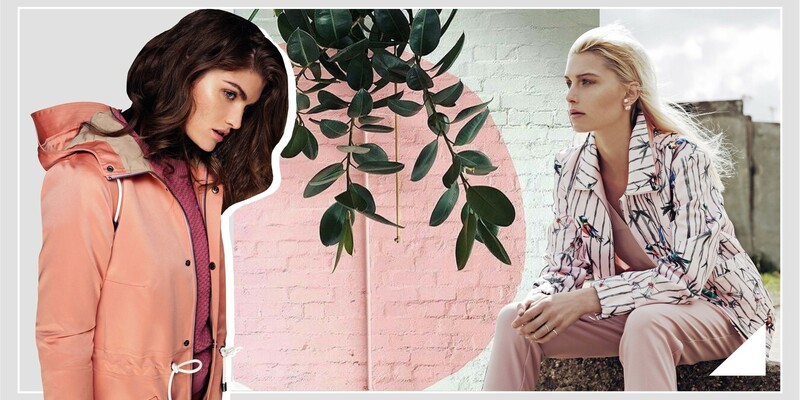 The subtle soft pink accent of the lining forms a nice contrast with the silver hue on the outside of the jacket, which fits perfectly with the current sporty & chic trend of 2019. The elastic cord in the waist of this coat ensures that you have the choice whether you want to wear the raincoat fitted or not. The trendy raincoat is made of a smooth, comfortable and structured material. This women’s style has a detachable hood with a cap that is adjustable at 3 points and taped seams to ensure that water does not soak into the coat, so you are always prepared for unexpected rain showers! The trendy raincoat also has special ventilation openings that are placed under the armpits for extra breathability. Let Easter come! On behalf of the entire team, we wish you a happy Easter!